When you’re reading a book full of surprises, don’t you wish you could peep in and see what happens next? Well – these classic books are full of cut-out holes that let you sneak a peek ahead. Exactly what you wanted! 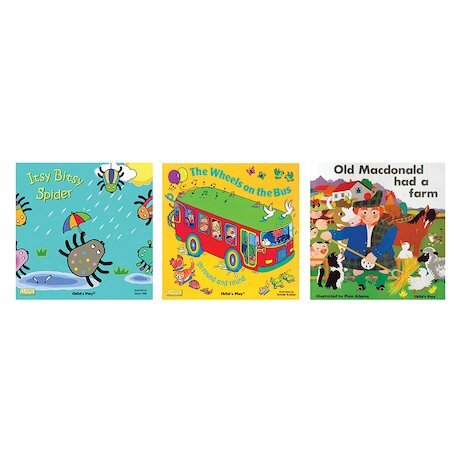 Even better, they’re best-loved nursery rhymes that you’ll love to sing along to. Peep through the holes, wiggle your fingers, sing the tunes, make the noises and mime all the actions out.